The number of candles used in Victorian Britain was staggering. For much of the time it was the main source of indoor lighting and the number produced increased as the population increased from 16 million to 37 million. It is a well known anecdote that the candle factory on Quarry Hill in Box produced a tonne of candles a week to light Box Tunnel during the nineteenth century. But how much more do we know about the factory? The site on Quarry Hill has actually been a centre of manufacturing for the past 200 years and continues to be as the home of Price of Bath, the only manufacturer of tennis balls left in Britain. So how did we get from candles to tennis balls, via soap and rubber tyres? 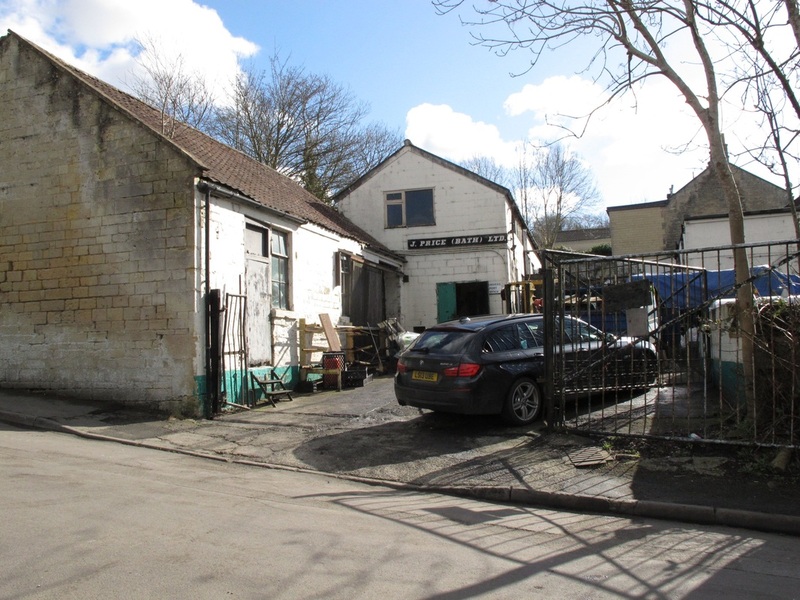 The earliest reference so far found for the site is an article from the Bath Chronicle dated 23 November 1835 which details a fire at the soap and candle factory belonging to Mr Thomas Vezey. The fire appeared to be caused when a lit candle fell into a vat of palm oil which led to the whole building being destroyed. Thomas Vezey was the eldest son of James Vezey, who on Thomas’ birth record was also named as a tallow chandler, although we don’t know for certain whether that was at this site. The Vezey family, as will be explained, dominated candle manufacturing in Box until 1930. Despite dying, aged 37, in Box on 27 May 1839 , Thomas was named on the 1840 tithe tax record as the owner of the candle factory, a site which was recorded as just over an acre in size and gave a tithe of 2 shillings and 9 pence. The accompanying map showing the site, plot 467, suggests that the site has changed very little to this day. The 1841 census shows that Thomas’ younger brothers, Benjamin and Peter, took over as tallow chandlers on their brother’s death with Thomas’s eldest son James joining them as an assistant by 1851. Interestingly very shortly after the census return Benjamin and Peter decided to dissolve their partnership. It is unknown as to why the partnership was ended, but the Vezeys continued to manufacture candles and soap until 1930 and in 1851 Box Tunnel was using huge amounts of candles, so financial reasons seem to be unlikely. Perhaps they fell out, although their death certificates show they both moved to Thornbury where Peter continued to be a tallow chandler but Benjamin became a farmer. They are both buried in Box. Perhaps James, only 17 in 1851, continued to run the factory by himself when his uncles left. We do know that by 1867 both he and his younger brother, John Cook Vezey, were running the candle factory and continued to do so until about 1911. The 1870s saw the brothers entangled with the law several times. In 1871 they were the victims of a crime when their waggoner, James Gait, was caught attempting to sell a quantity of their soap and candles to George Crew down the Saracen’s Head in Bath. Both men were charged. However, in 1872 they were the culprits when they were summoned before the Superintendent of Wiltshire for leaving a ditch open and allowing an accumulation of drainage to occur which according to Dr Snow was injurious to health. It appears that drainage in Box was a problem then as it still is today! The last generation of the Vezeys to manufacture soap and candles in Box was Benjamin Vezey, son of John Cook Vezey. Candle manufacturing in Box came to a close with Benjamin's death but it was not the end of the site as a place of industry. It is believed that one of the stone companies bought the site from Benjamin’s wife Sarah but by 1936 the site is in the hands of Williams, Ellis and Co. The production of soap and candles were similar, both often coming from the waste produced in the manufacture of leather. The fat from beef or sheep was often extracted from the skins used in the tanning trade. By mixing the fat with a strong alkali, the solid material could be separated from the liquid. The solid was then heated and formed into shape. The process started with soap manufacture and proved equally effective in the candle-making trade. The manufacture generated a lot of acrid smoke and glycerine fumes (later used by Alfred Noble to manufacture nitroglycerine). It was so unpleasant that the process usually required a high chimney as part of the premises to emit the fumes into the sky. We should also expect that manufacture in Box involved the use of child labour because the positioning of the wick (twisted strands of cotton) into the candle moulds required nimble fingers and good eyesight. But it was a highly profitable trade especially after 1831 when the candle tax was abolished in England. The industry boomed. On 20th February 1840 every household in Britain was encouraged to burn a candle in their front window to commemorate the wedding of Queen Victoria. The tax on soap manufacture was abolished in 1853 and this also saw a period of growth. We can see that the Vezey family used animal fats because of the references to tallow chandlers. The fire in 1835 shows that they were early innovators in using expensive imported palm oil in their production processes. Perhaps this was to ensure they met the high demand from the building of Box tunnel. There is no reference to the Box factory being involved in the subsequent petroleum-based manufacture of candles requiring the distillation of paraffin wax and this may be the reason why the building was later converted into the production of rubber-based goods. The twentieth century sees not only the introduction of tennis balls to Box but also the Price family. Williams, Ellis and Co who bought the site just before the Second World War appeared as manufacturers of a variety of rubber goods including tennis balls and they used the Quarry Hill site as their Welcom works where they re-built tyres. Joseph Price was hired as an expert in rebuilding tyres and moved with his family from London down to Box, living in the house on the site currently used as offices. During World War 2 Williams, Ellis and Co were contractors to HM Air Ministry and were instrumental in retreading tyres for the post office vehicles as well as making rubber components such as head pads for tanks. As Williams, Ellis and Co were manufacturers of tennis and squash balls it can be assumed they introduced tennis balls to Box and as a child Derek Price can remember tennis balls rolling down Quarry Hill coming to rest in the Bybrook. After the war, Williams, Ellis and Co were renamed Box Rubber Mills Ltd with Mr Bob Weston and Major Curtis as Directors and Joseph Price as Site Manager. A number of proposed planning applications for new buildings on the site suggest that tyres were still being made as one makes reference to a tyre store and another dated September 1946 refers to the construction of water tanks which were vital for testing the rubber tyres for leaks. This was a high pressure process and the pump used to move the water was later used to test rubber aircraft lifting bags, which were used to lift crashed aircraft. The 8ft² stand can still be seen at the corner of Barn Piece and Quarry Hill. This plan of the site that accompanied the applications shows that the layout of the buildings has changed very little since 1946-47. Unfortunately Box Rubber Mills went into administration in 1950, putting the site up for auction. It is the sale details which show that tennis balls were the main product manufactured at the site, to toy dealers, for sale 10,000 boxes of tennis balls ranging in girth.. The site was bought by Edward (Teddy) Bent and he owned it until 1960 when it was bought by Derek Price, the current owner, who had already bought the company in 1958. 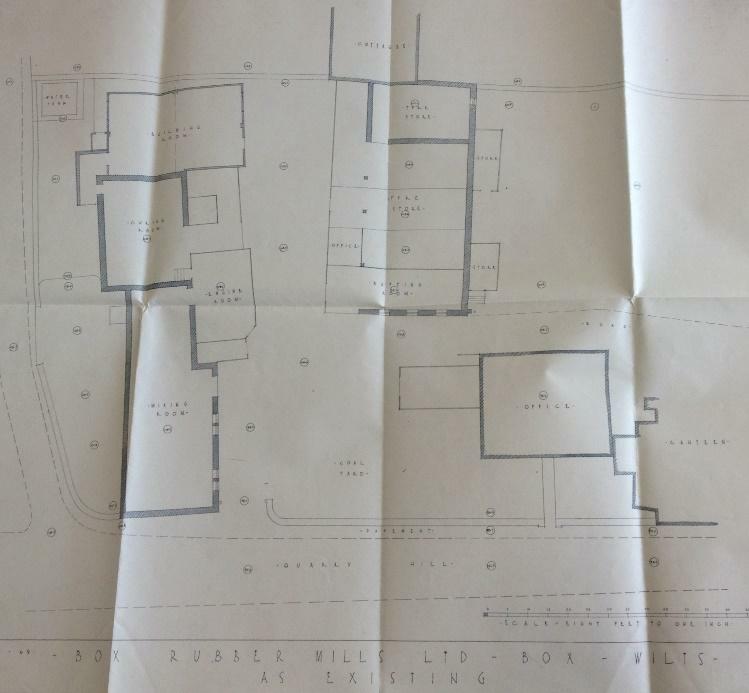 The plan of the 1946-47 application (courtesy Wilts History Centre). The 1960s and early 1970s saw the heyday of tennis ball manufacturing and the site must have seemed as prosperous and vibrant as it was making candles in the 1840s and 1850s. Price of Bath were increasing their exports to the US, Canada, Australia, New Zealand and South Africa and in their best year they sold 313,000 dozen tennis balls worldwide. In 1967 they were able to buy the station yard at Box station which had closed in 1964. 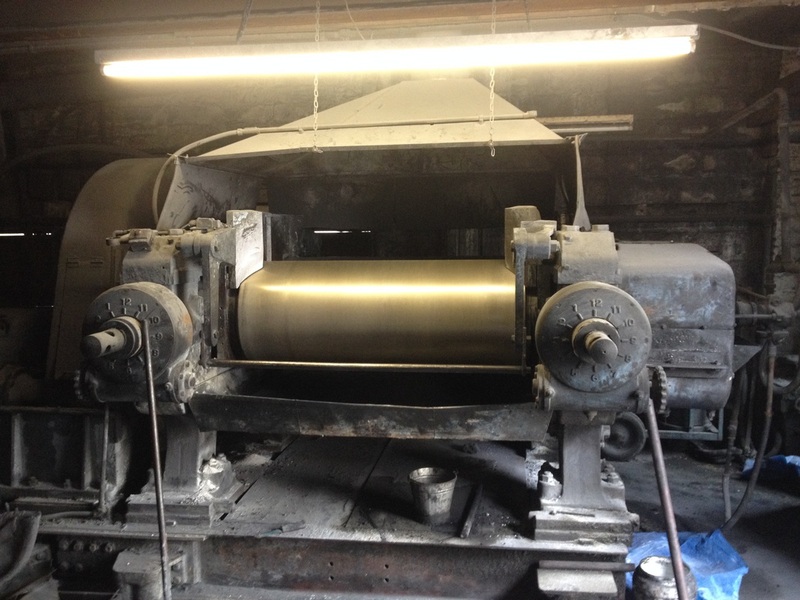 This was used for the clean parts of the manufacturing process such as covering and finishing the balls with the actual manufacturing of the balls remaining at the site at Quarry Hill. 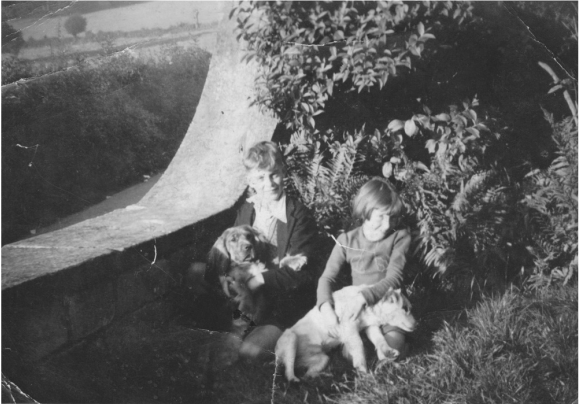 Joe and Dorothy Price sitting on factory wall with the future Bargates behind them about early 1940s. 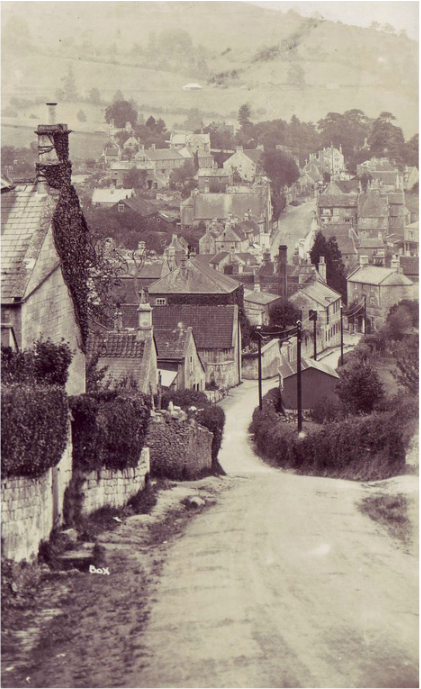 At its height there were over a hundred staff working at the two sites in addition to a similar number of homeworkers living in Brunel Way, Bargates and Barn Piece as well as Corsham and the surrounding villages. These homeworkers were mostly women who trimmed the bushes and grommets before returning them to the factory for packing and sale as well as covering the balls. It provided an extra income into households but was hard on the finger producing callouses and hard sores. Like the Vezeys before them, Price of Bath is very much a family business and in addition to Derek, his brother Joe before he set up his own factory Precision Cut Rubber in Potley, Joe’s son, Martin, and Frank the Yank, Derek's brother-in-law, who was a very strong chap and could carry a press on his back alone, also worked for the company. Derek’s daughter, Louise recently returned from London to work alongside her father and ensure the factory continues to prosper. The building (above) that runs from the top of Bulls Lane along Quarry Hill is one of the original buildings used by the Vezeys to manufacture candles and today houses much of the equipment used to manufacture the balls. The Georgian double-fronted property next door to this building is currently the offices but has been used as the house for the factory owner, where Derek and his family lived for most of his childhood, and later as a canteen with a shack on the side. 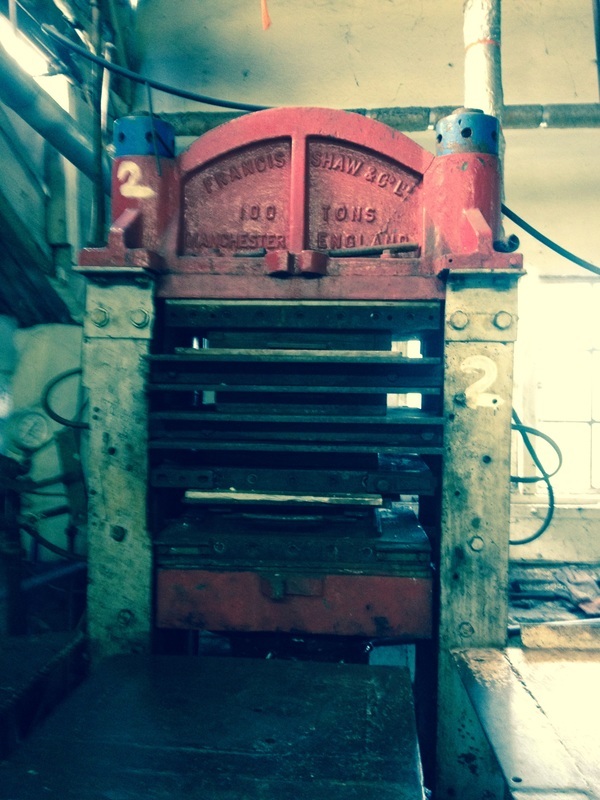 Press for moulding tennis ball cores into shape from pellets. 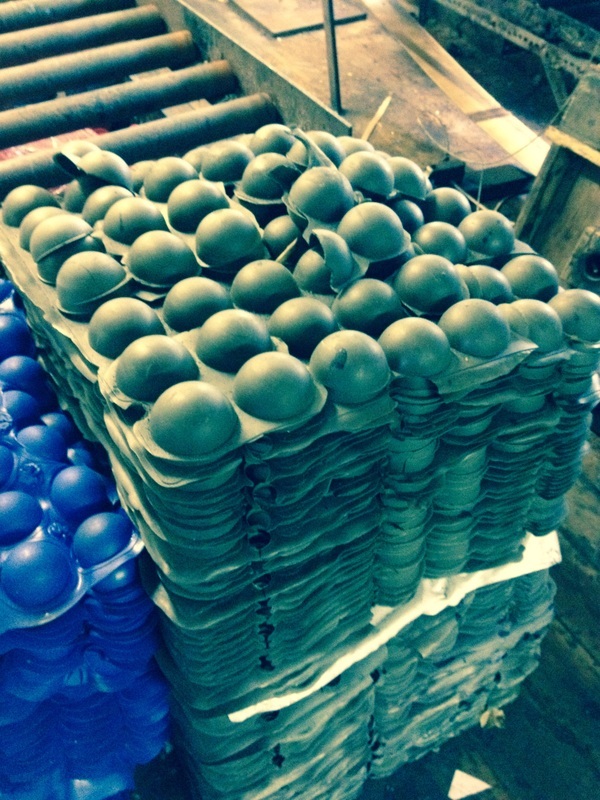 A pile of ball halves waiting to be joined together by a top secret process! The actual manufacturing processes and machinery have changed very little. To make the tennis balls, rubber pellets made by Derek’s own special formula are placed into trays to form the two halves of the ball. Many different types of ball are made at the factory, each one is made from a different rubber compound to produce different characteristics, for example bouncing higher. 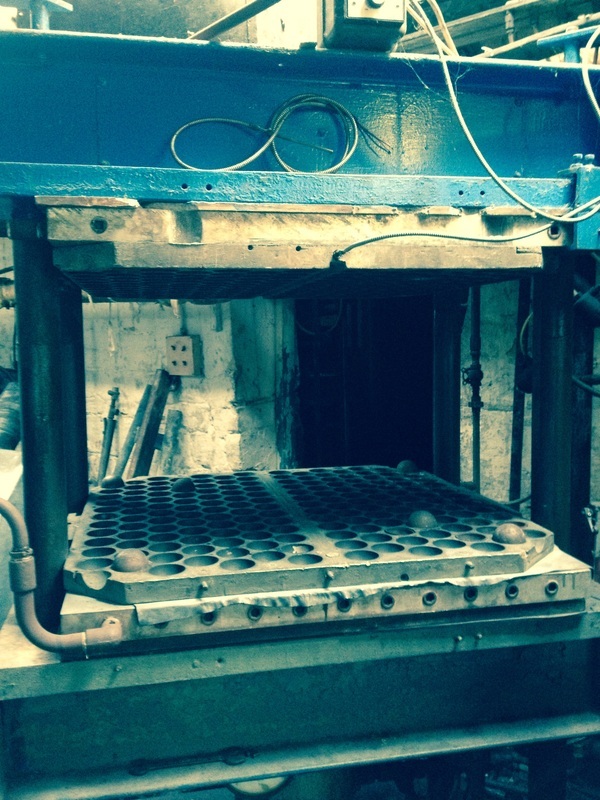 The rubber pellets are placed into the original 200 ton press and heated at 145°C for 2.5 minutes. Oven for cooking the balls once the two halves have been joined together. Once cooled, the rubber halves are sealed together and then hand covered with the cloth. This process was recently featured in an episode of Escape to the Country, to see footage (from 37.5 mins in) visit http://www.bbc.co.uk/iplayer/episode/b05p24qn/escape-to-the-country-series-15-53-wiltshire. Unfortunately in the early 1980s, undercutting by Asian manufacturers saw the order book diminish within two tennis seasons resulting in a reduction of staff to thirteen. The impact on Box must have been significant with so many people losing their jobs. However this was not the end of tennis balls in Box and Price of Bath continues to make tennis balls, and other rubber mouldings, making it the only surviving tennis ball manufacturer left in Britain. Photos above showing the process of tennis ball manufacture to normal-size and presentation large tennis balls (courtesy BBC). Niche markets such as coloured and personalised balls is the main focus of the company with 200,000 tennis balls made each year at the moment. To see a short video of Derek discussing how he has diversified the business to ensure its continuation have a look at https://m.youtube.com/watch?v=brqPeUCOzTM. 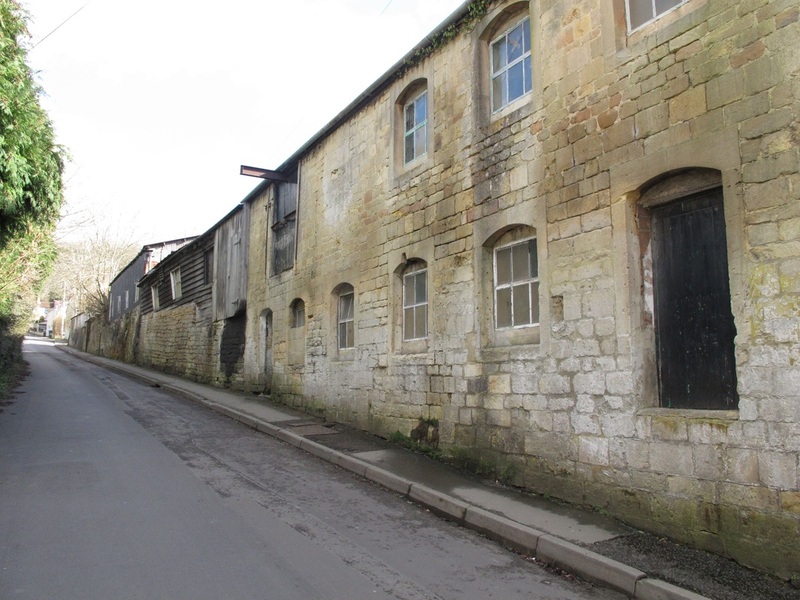 With planning applications for new buildings to be built at the Station yard site accepted with a view to moving some aspects of manufacturing there, Price of Bath looks set to ensure the continuation of Box’s manufacturing history. Recalled by the Webster family, whose family worked at the factory in the 1960s and 1970s.